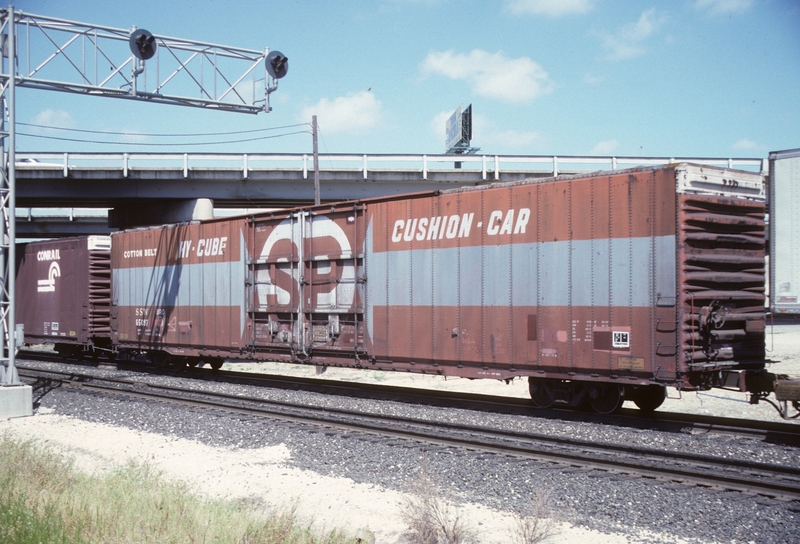 These 86'-6" hi-cube, auto parts box cars were all built to the same basic design by GSC in 1970. They featured 10000 ft3 capacity and a 20'-0" door opening centered on the car side. 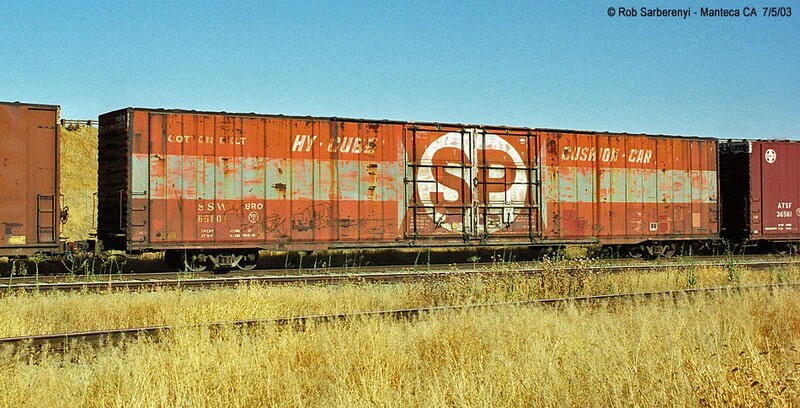 These cars were delivered in the distinctive red paint scheme with a large white circle centered on the doors with a red SP. Arrows painted on the cars' sides pointed toward the white ball. 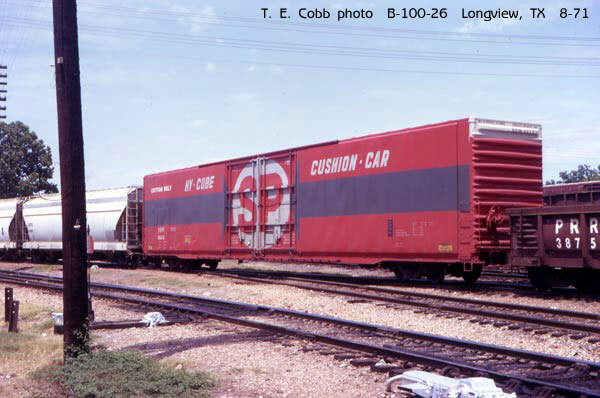 Even though these cars carried the large SP in the ball, they were Cotton Belt cars and carried SSW reporting marks and small COTTON BELT lettering in the upper left hand corner of the car side.